Clients say they value my strategic yet practical approach to their business and tax matters. I understand that they don’t want a 20-page memo when one page can communicate what they need to know. Consequently, I reduce complex issues into succinct plain English. I serve clients as their trusted advisor, much like an outside general counsel, and I develop close relationships with them. Some clients call me just to talk – not about business – but simply to check in and catch up. With nearly four decades of experience, Mark Embree counsels high net worth family offices on their income tax, estate planning and other business matters. Mark advises clients on issues that arise in mergers and acquisitions and contract preparation as well as on matters regarding tax-exempt organizations. Mark draws on his ability to relate to people with a wide range of personalities, backgrounds and interests, which helps him navigate the dynamics involved in the operations of a multi-generational family business. Clients rely on both his candor and diplomacy in dealing with these relationship complexities. Recognized by highly regarded publications and attorney rating services, Mark is board-certified as a tax law specialist by the Louisiana Board of Legal Specialization and he holds a Masters of Law in Taxation. 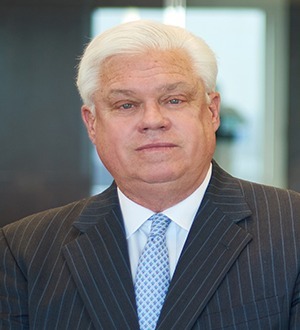 Because of his reputation, deep and broad knowledge base, skill sets and experience, he has served the tax and business needs of some clients for more than two decades, including several of the wealthiest families in Louisiana. Mark closely tracks regulatory proposals to the ever-evolving tax and business-succession structures on the local, state and federal levels. When a change does occur, he’s fully prepared to collaborate with his clients and provide creative yet practical solutions for their tax and business challenges while mitigating risk exposure.